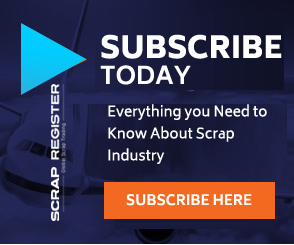 MUMBAI (Scrap Register): India's Crude Steel output is down by 3.84 percent year-on-year to 8.995 million tons (MT) in January 2019, according to the Joint Plant Committee (JPC). The fall is reported after World Steel Association (worldsteel) recently announced that India has replaced Japan as the world's second-largest Steel producing country. On January 25, worldsteel in its report noted that India's Crude Steel production in 2018 was at 106.5 MT, while as Japan produced 104.3 MT in 2018. Crude Steel production stood at 8.995 MT in January 2019, down by 3.8 percent over January 2018, and was down by 0.2 over December 2018, according to JPC latest report. The country had produced 9.355 MT Crude Steel during the same month a year ago. India has set a target of producing 300 MT Crude Steel by 2030 with an investment of Rs 10 lakh crore. A national Steel policy has already been approved by the by the Cabinet.